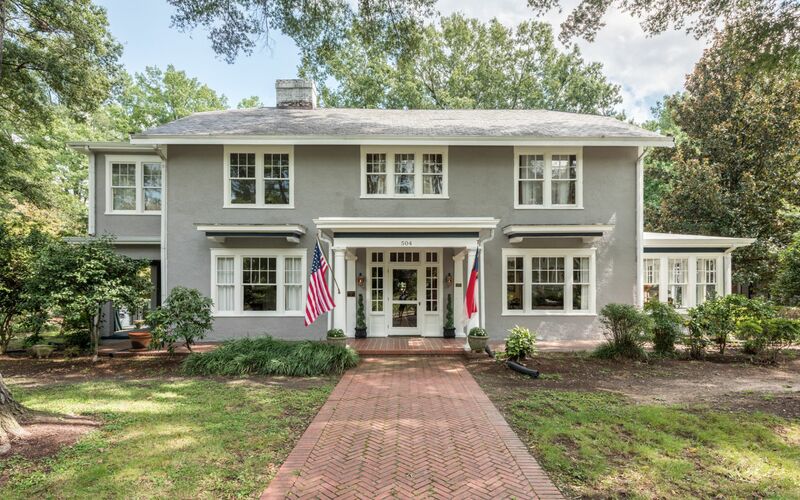 Dilworth is an attractive neighborhood conveniently located close to Charlotte’s Uptown. The community is known for its historic bungalows and excellent shopping and dining options. Many of these shops and restaurants are located along East Boulevard, which runs right through the heart of the community. Dilworth was developed as Charlotte’s first streetcar suburb in the 1890s at the southwest of the former city limits. Bungalows dating back to this early establishment still line Dilworth’s streets, along with beautiful mature oak trees and attractive homes with enticing front porches. The 32-acre green space of Latta Park sits in the center of Dilworth, providing residents with an abundance of trails, picnic spots, and sports facilities. Freedom Park, often considered Charlotte’s signature green space, is located within the neighboring community of Myers Park at Dilworth’s southwestern edge. Dilworth’s convenient location and charming streets make this a perfect place to relax, with excellent access to other areas of the Queen City. The new Lynx light rail service is easily accessible from East Boulevard. Dilworth is also the location of the Carolinas Medical Center, which is Charlotte’s largest hospital. Dilworth’s distinctive bungalows are the neighborhood’s signature home type, with an average size of around 2,300 square feet. Dilworth’s closeness to Uptown has meant a continual upswing in the real estate market for at least the last 15 years. This has seen some newer townhomes and condominiums added to Dilworth’s real estate mix, with many of these newer properties being added to areas just off East Boulevard. Dilworth is home to a wonderful variety of shops and restaurants, with many of these being opened in the unique setting of converted housing. Boutique shops are plentiful, especially along East Boulevard. Excellent restaurants abound along East Boulevard. Babalu is a neighborhood highlight, serving a creative modern fusion of Latin-inspired cuisine summed up in its “Tapas & Tacos” tagline. Named after the singer and composer Miguelito “Mr. Babalu” Valdes, Babalu’s music is as enticing as its cuisine, with an eclectic playlist of Cuban, Latin, and Spanish sounds adding to the authenticity of its atmosphere. Located in a repurposed 1900s Victorian home, 300 East is a Dilworth institution that has been serving an eclectic mix of delectable seasonal food since 1986. As well as being popular among locals, an appearance on Guy Fieri’s Food Network show has helped word of 300 East’s excellent dishes extend far beyond Dilworth’s borders. Other outstanding local eateries include Copper, a highly-recommended contemporary Indian restaurant, and the delightful Cantina 1511.